Please can I find the best solution for my little problem? I still have to install my LAMP stack on Ubuntu 16.04, so I'll write a tutorial as I install it on my machine and make sure that it works. Like others have already pointed out, the W in WAMP stands for Windows, so you can't install it on a Linux OS like Ubuntu, we need to install the LAMP stack, where of course L stands for Linux and AMP for the Apache web server, MySQL database server and the PHP back-end programming language that sticks them all together to create web apps. 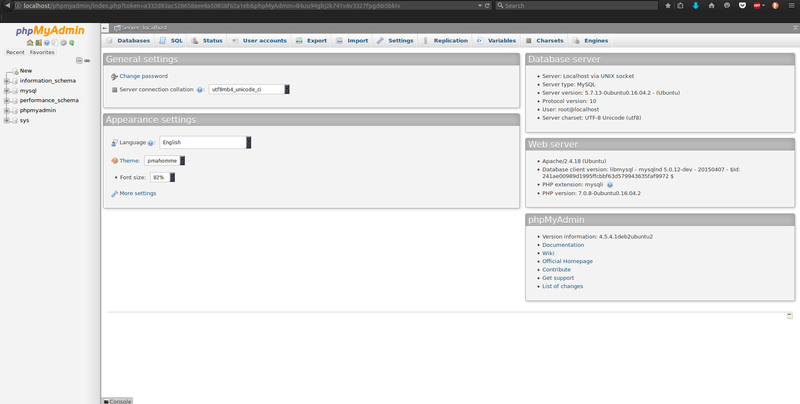 So that's exactly what we'll have to install and configure, together with phpMyAdmin that will make the job of dealing with MySQL databases simpler via a local web app to handle data. On Linux it's more of an involved process than in Windows but it's worth it, you get to learn how servers in the wild actually work by putting together every piece of the puzzle. On Windows you only need to install an executable, on Linux you'll be a step closer to being a system administrator by the end of the installation process. This particular web page, and all other pages that Apache will serve are by default located in the /var/www/html directory on your system. 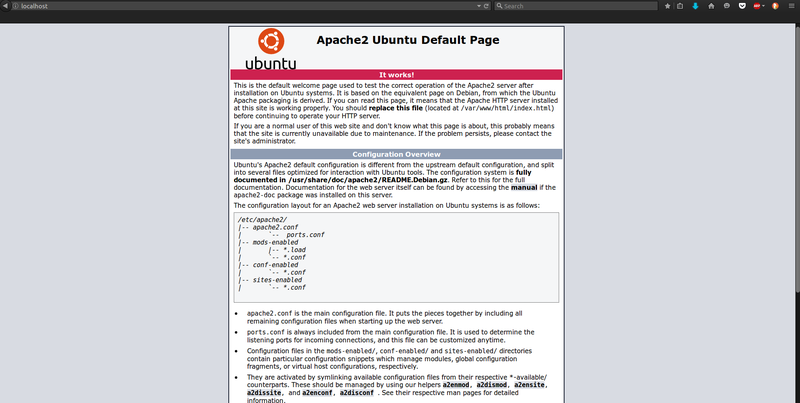 You'll see a list of default databases, it looks like everything's fine, type exit to exit from the MySQL console. Try visiting http://localhost/phpmyadmin to access the service. You'll likely get a 404 error. 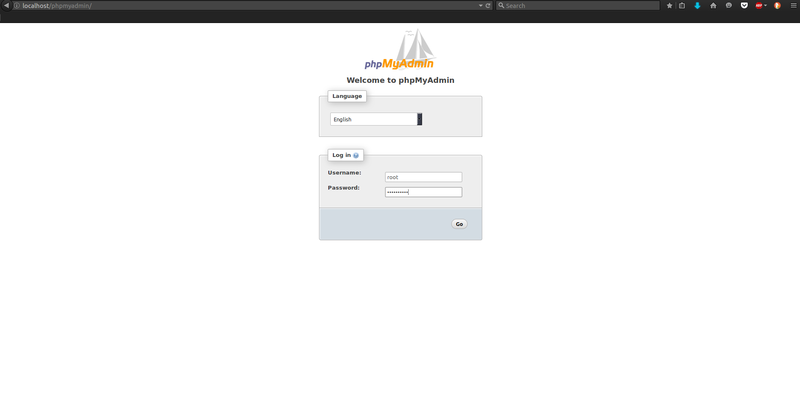 We're not quite done yet, we still have to configure Apache to work with phpmyadmin, then everything will work smoothly. 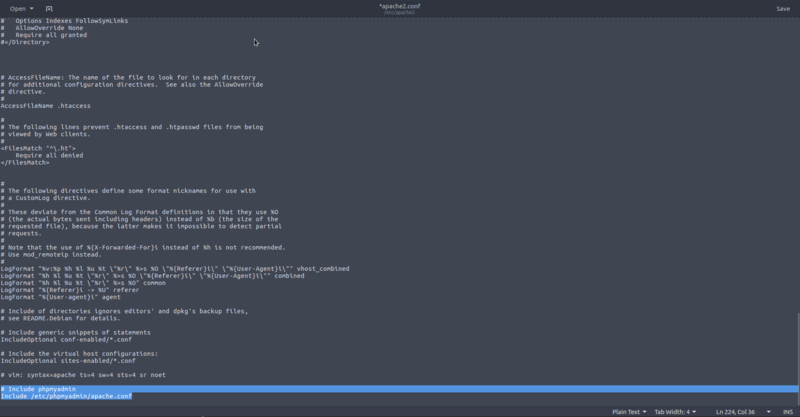 Point to http://localhost/phpmyadmin, it works! That's it, now you're ready for development. 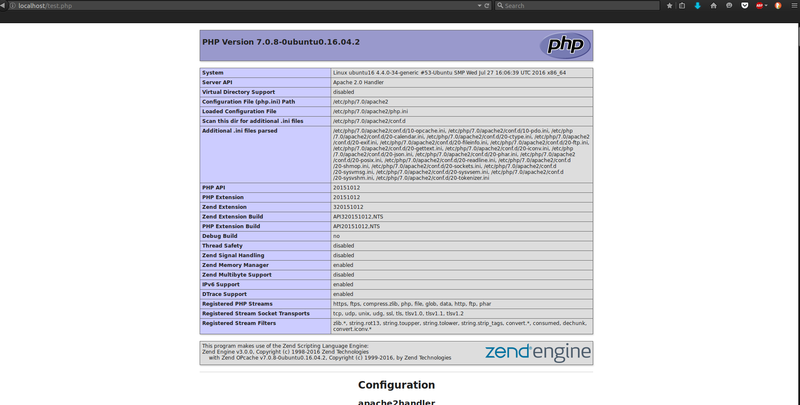 error_reporting and display_errors should be automatically set to E_ALL in /etc/php/7.0/apache2/php.ini for development purposes so if something breaks you'll be able to debug it easily. At the moment there's no need for further configuration. I enjoyed writing this down, have fun! Unable install cmake and ccmake? How do I install latest Graphviz?